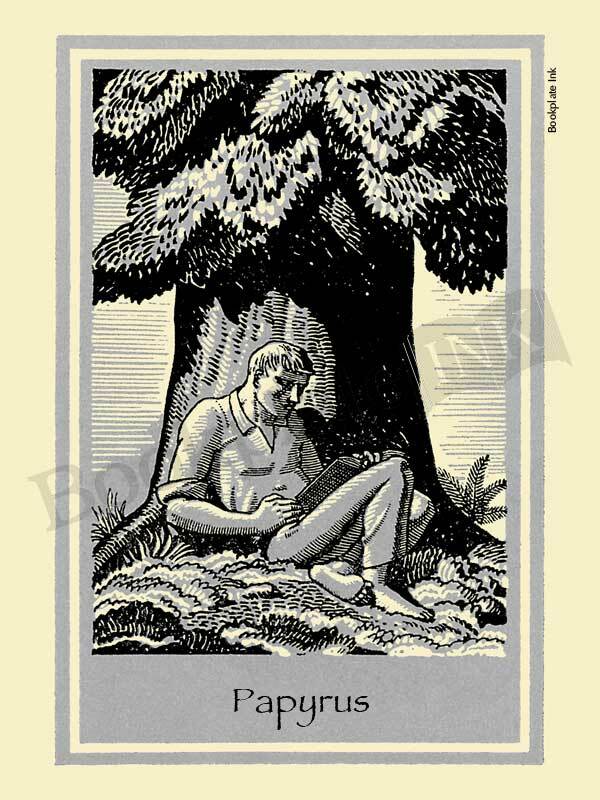 This pastoral drawing of a man with a book sitting beneath a tree is similar to design A122. We are re-introducing this design by well-known artist Rockwell Kent after requests for it by customers. It was originally printed by the Antioch Bookplate Company in the 1950s.